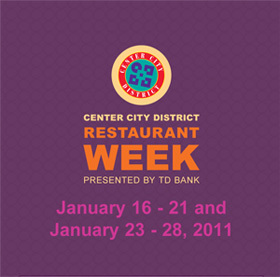 Philadelphia neighborhood Center City is having its Restaurant Week soon. A 3-course lunch is $20 and a 3-course dinner is $35. And a lot of Philly places are BYOB, so the wine can be affordable as well. It's January 16th-21st and the 23rd-28th, which means it's just a week away! Each restaurant posts their choices for the three courses. My eye goes to the Italian restaurants of course and their specials all look so squisito!